CLOSEOUTS. 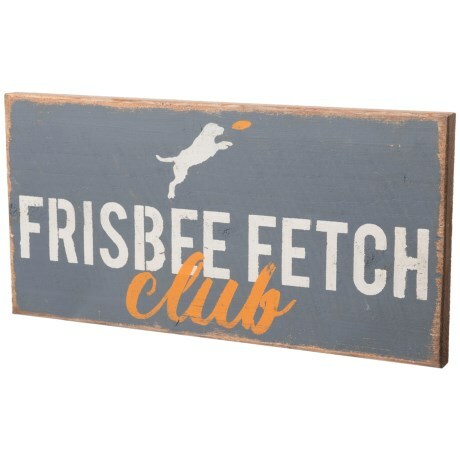 A decorative wall hanging for those who love all things canine, this Seven Anchor Designs Frisbee Fetch Club wall art is made from solid wood with attached metal hardware ready to hang on any wall. Available Colors: GRANITE PEAK.